In cases of death or accident where blood is present, there is a risk of exposure to biological and chemical contaminates. Bloodborne pathogens (biological agents) are infectious microorganisms present in blood that can cause disease in humans. These pathogens include, but are not limited to, hepatitis B virus (HBV), hepatitis C virus (HCV), and human immunodeficiency virus (HIV), the virus that causes AIDS. Workers exposed to bloodborne pathogens are at risk for serious or life-threatening illnesses. 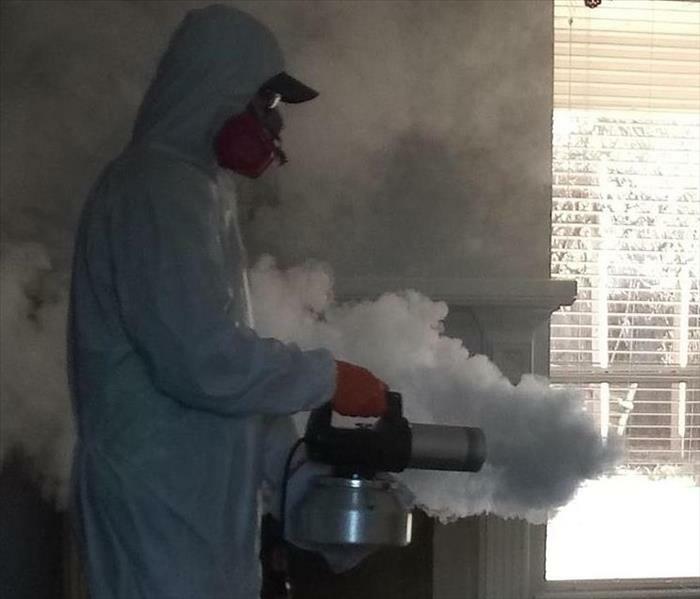 For the health and safety of our team, and for yours, all SERVPRO of Wichita Falls technicians are thoroughly trained in the use of personal protective equipment, established cleaning products and techniques, and to follow OSHA’s universal precautions, whereas we treat all human blood and OPIM as if known to be infectious for bloodborne pathogens. We remove and dispose of bodily fluids, tissue and other potentially pathogenic substances resulting from accident, trauma, crime or death. Trained SERVPRO of Wichita Falls Professionals clean, disinfect and deodorize the structure.